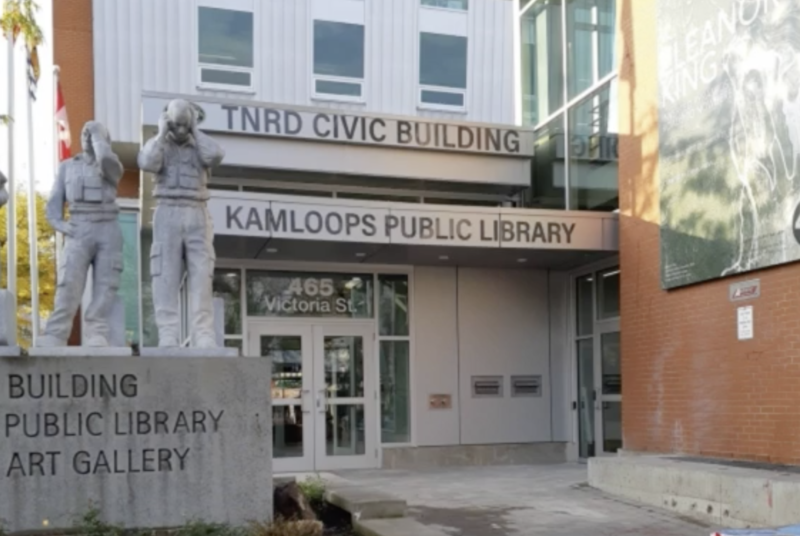 A bomb scare shut down several blocks of the Kamloops downtown area for a few hours today (Jan. 4, 2019) as police searched the main library on Victoria Street. Sgt. Kelly Butler said RCMP responded to a report at 8:15 a.m. of an explosive device at the library at 465 Victoria St. and cordoned off and evacuated the Civic Building and surrounding area. Victoria Street from the 400 to 600 block and Fifth Avenue from Seymour Street to Lansdowne Street were closed to pedestrians and traffic. The library and immediate areas were searched with the assistance of an explosion detection police dog but no suspicious packages or detection of explosive devices were found. The downtown core was re-opened to the public later in the morning. No charges have been laid and the investigation is ongoing. RCMP thanked the public for their co-operation.